The right type of web hosting is crucial in determining the true response rate of a website. Therefore, it is important to choose a hosting plan that rightly improves your web visibility, which plays a key role in boosting sales for a business. Instead of overlooking the hosting aspect of a business, which is often the case, it is necessary to grasp the basic terminology and make the right decision. Choosing the right WordPress (WP) Hosting Plan can lead to better search engine optimization and eventually boost sales. It can be confusing to select a WP Hosting— from amongst the various types of plans available in the market — that perfectly suits your business needs. In this post, we are listing down the 5 basic types of WordPress Hosting plans. Let us look at them and their appropriate use one by one. A Free WordPress Hosting Plan is sure to give the best performance, reliability, and functionality. The web host panel is fairly sophisticated and easy-to-use. With Free WP Hosting, you do not encounter any ad pop-ups, nor do you face any interference while navigating through the website. It is not just easy to install, but the WordPress plugins also guarantee faster operation as compared to a lot of paid hosting plans. A Free WordPress hosting plan is good for any website. Actually, it is ideal for a business that is just beginning its journey on a virtual platform. For those who are starting their first website, a Shared Hosting plan is the right option as, initially, one needs to take things slowly before going on to upgrade the website. Shared Hosting plans are undeniably cost effective. That is because, in this plan, the RAM that handles traffic loads, and the CPU that stores and processes information for your site, are split. A VPS (Virtual Private Server) WP Hosting plan lets you share hardware with several users. But you also have to share resources with all those users. The new improved customization feature of the VPS Hosting plan empowers a user to personalize various portions of the configuration, including the operating system and the amount of power required. Another important thing about a VPS Hosting plan is that it is relatively cheaper than Dedicated or Cloud Hosting plans. Now, under VPS Hosting, there are two types of plans: Managed Hosting and Unmanaged Hosting. The Managed VPS Hosting plan is best for those users who want to enjoy the benefits without having to do multiple manual changes; while the Unmanaged VPS plans are ideal for those users who have a good knowledge of server configurations. If you choose the Dedicated server, you do not have to share hosting resources with any other user. This WP Hosting plan brings you dedicated resources, like the ones you get in a VPS Hosting plan — an improved customization feature, uninterrupted software download, installation, and integration. Along with it, here you also get a robust hardware. A Dedicated plan offers superior customization facility because here you totally own the server. The plan provides you with resources that are sufficient to keep the website running at a good speed. The Cloud WP Hosting services make sure that you get the performance that you are looking for your website. The resources required to maintain the website are placed across a cluster of servers that are working together. This ensures high reliability and safety of data. Of all the different types of WordPress Hosting Plans, Cloud Hosting guarantees quicker load times for low-density servers, premium hardware, and multiple caching layers. Why are WP Hosting Plans the Best? SEO Friendly- It would be any day a smart decision to pick a WordPress Hosting plan. 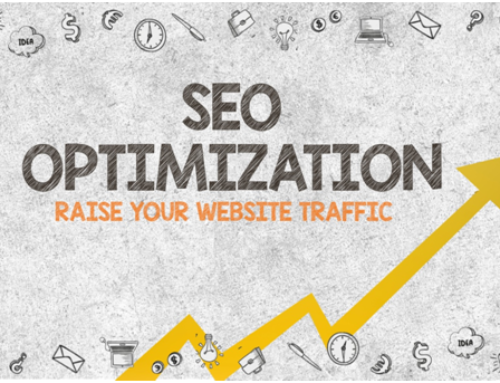 Your website can quickly grow in the search engine ranking, as this plan’s SEO friendly featureshelp attract considerable traffic to your site. Every page of a WordPress website is optimized for the search engine and also concurs with the industrial standards, both of which are required to take your website to superior rankings on the search engine. Support Community- WP Hosting plans are viewed as the ideal way to serve the WordPress community. Anyone can use this platform, with community support, to launch a WordPress site. Easily Customizable- WordPress websites are much easier to customize. A user gets full control over the content and layout, as well as on the website’s URL structure. Easily Manageable- Managing WordPress websites is a user-friendly task, so can be managed by users who have zero experience on CMS. If you are looking at hosting your WordPress site, you can refer to the checklist given here and base your research on these pointers in this article. It will definitely help you choose a WP Hosting plan that is best for your business website’s requirements.